Draft: 2008, Seattle Mariners, 23rd rd. Brandon Eugene Maurer...Wife's name is Kelsey...Is a 2008 graduate of Orange (CA) Lutheran High School, where he was a teammate of Gerrit Cole. Began season with Kansas City...Was optioned to Triple-A Omaha on 4/12 after going 0-2 with a 12.46 ERA (4.1ip/6er) in five games with the Royals... Was dropped from the 40-man roster on 5/3...Tossed 12.2 consecutive scoreless innings over 11 outings from 5/10 to 6/1 and held opponents to a .163 (7-for-43) average... Was selected by Kansas City on 6/15 and finished the season in the big leagues...Picked up his lone save on 7/20 vs. Minnesota...Held opponents scoreless in 10 of 11 appearances from 7/16 to 8/23, in which he had a 0.82 ERA (11.0ip/1er)... Posted a 3.72 ERA (19.1ip/8er) in his final 21 games, dating back to 7/26. Acquired from San Diego on July 24 in a six-player deal with fellow hurlers Ryan Buchter and Trevor Cahill, in exchange for pitchers Matt Strahm and Travis Wood and minor league infielder Esteury Ruiz ... Posted a 2-2 mark with two saves in three chances, despite an 8.10 ERA (18 ER in 20.0 IP) in 26 appearances with the Royals…he was 1-4 with a 5.72 ERA (25 ER in 39.1 IP) with 20 saves in 23 chances with the Padres ... Made three-straight scoreless appearances following the trade to close out July with a 2.53 ERA (3 ER in 10.2 IP)… however, he posted a 9.35 ERA (18 ER in 17.1 IP) over the final two months of the season ... Earned his first win with the Royals on Aug. 16, 7-6 at Oakland, despite allowing the tying runs to score in the eighth inning…also earned a 6-4 triumph over Colorado on Aug. 23 with a scoreless ninth inning in front of Eric Hosmer's walk-off homer ... Recorded both of his saves in a KC uniform against Minnesota, closing out a 5-4 triumph at Target Field on Sept. 3 and a 5-2 win on Sept. 9 at Kauffman ... Combined his two stops for a 3.41 ERA (12 ER in 31.2 IP) and was 13-for-13 in save opportunities at home, compared to a 10.08 ERA (31 ER in 27.2 IP) and all four of his blown saves on the road ... Opponents hit .371 (26-for-70) against him with runners in scoring position, which was the sixth-highest average in the Majors (min. 75 batters faced) ... Fanned all three batters he faced in a 1.0-inning stint twice (both with San Diego), May 2 vs. Colorado and July 7 at Philadelphia…it marked the second and third times he's done that in his career, also accomplishing the feat on June 11, 2016 at Colorado. In his second season with the Padres set career-bests in appearances (71), strikeouts (72) and saves (13) after posting a 0-5 record with a 4.52 ERA (35 ER, 69.2 IP) while limiting the opposition to a .238 (65-for-273) batting average ...In his final 41 outings after 6/11, he posted a 2.59 ERA (12 ER, 41.2 IP) with 39 strikeouts against six walks and a .219 (34-for-150) opponents average, converting 12 of 14 save opportunities...Worked scoreless outings in 51 of his 71 appearances this season...Held left-handed hitters to a .213 (29-for-136) batting average compared to a .263 (36-for-137) mark against righties...Over 11 appearances in July, posted a 0.73 ERA (1 ER/12.1 IP), a 11-1 strikeout-to-walk ratio and limited the opposition to a .122 (5-for-41) batting average...Had a 12.1 scoreless-inning streak from 7/4-8/1...Recorded his first career four-out save on 7/22 at Washington...Recorded the save in two of the three wins against San Francisco (July 15 and July 17) to open the second half of the season. In his first season with the Padres set career-bests in several categories, including games pitched (53), wins (seven) and ERA (3.00)....Worked exclusively in relief for an the entire season for the first time in his career....Began the season with Triple-A El Paso but did not pitch in a game for the Chihuahuas…was recalled by the Padres from Triple-A on 4/10....Finished the season with seven wins, tied for the fourth-most by a National League reliever, one shy of ARI Randall Delgado, CIN J.J. Hoover and CHC Jason Motte, who all had eight…was the first Padre reliever with seven wins in a season since Scott Linebrink also had seven wins in 2006....Limited left-handed hitters to a .158 (15-for-95) batting average, the third-best mark among National League pitchers with as many or more left-handed batters faced…over his final 41 games from 4/29 on, limited lefties to a .113 (9-for- 80) average and allowed just one extra-base hit in that time, a double to SF Brandon Crawford on 6/25 atAT&T Park....Over his first 39 games for San Diego from 4/11 - 7/4, pitched to a 5-1 record with a 1.73 ERA (8 ER, 41.2 IP) and 32 strikeouts against nine walks while limiting the opposition to a .166 batting average…his opponents batting average in that time was second-best among Major League relievers and the best in the National League....Pitched primarily in the seventh inning, making 27 appearances out of the 'pen in the seventh, pitching to a 3.00 ERA (8 ER, 24.0 IP) with a .230 opponents batting average…in 16 appearances during the eighth inning, pitched to a 2.77 ERA (4 ER, 13.0 IP) with a .220 opponents average....Placed on the 15-day disabled list on 8/11 with right shoulder inflammation and missed the rest of the season. Split the season between the Mariners and Triple-A Tacoma, appearing in 38 games, seven starts with the Big League club compared to 12 games, one start, in the minors...Had two stints with the Mariners, 4/20-5/30 and 6/25-end of season...Went 1-4 with a 4.65 ERA (36 ER, 69.2 IP) in his time in the Majors...Went 1-4 with a 7.52 ERA (27 ER, 32.1 IP) in seven games started...Posted a 2.17 ERA (9 ER, 37.1 IP) in 31 relief appearances…averaged 9.16 K/9.0 IP in relief (38 K, 37.1 IP)...Ranked 14th among American League relief pitchers with a 0.964 WHIP...Went 1-0 with three saves and a 2.79 ERA (6 ER, 19.1 IP) in his 12 games in the minors…averaged 11.2 K/9.0 IP (24 K). Went 5-8 with a 6.30 ERA (63 ER, 90.0 IP) in 22 games/14 starts in his first MLB season. In 14 starts went 3-8, 6.20 ERA and in 8 relief appearances was 2-0, 6.64 ERA. Over final 3 starts in September went 1-0 with a 2.60 ERA (5 ER, 17.1 IP) with 17 strikeouts. Recorded his first Major League win on April 14 vs. Texas. Made his Major League debut April 4 at Oakland (6.0,8,6,6,0,1,2 HR). Became the first Mariners pitcher since 1993 to make the Opening Day rotation without pitching at Triple-A (last: Mike Hampton and John Cummings). Had two stints with the Mariners, Opening Day-May 29 and July 27-end of season. Posted a 3-4 record with a 5.21 ERA (27 ER, 46.2 IP) in 10 starts with AAA Tacoma. Named Southern League Most Outstanding Pitcher after going 9-2 with a 3.20 ERA (49ER, 137.2 IP) in 24 starts with AA Jackson ... Named Most Improved Player by the Seattle Mariners ... Led the Southern League with an .818 winning percentage and ranked 5th in ERA ... Tied for the Generals lead in wins (9), while leading the team in strikeouts (117) andinnings pitched (137.1) ... Over final 14 starts of the season, from June 1-Aug. 16, went 7-1 with a 2.50 ERA (24 ER,86.1 IP) and recorded 10 quality starts. Began season with Clinton...struck out a season-high 11 batters May 7 vs. Burlington(6.0,3,1,1,2,11,BK)...promoted to High Desert on May 17...named California LeaguePitcher of the Week, May 23-29, after allowing only 3 hit over 8.0 shutout innings, Aug.25 vs. Modesto (8.0,3,0,0,0,9)...made two stints on the disabled list with a strained rightelbow (June 11-29 & July 18-end of season). Began season on the disabled list with right elbow tendinitis and reinstated on Aug.13...appeared in games with Peoria (Aug. 13-29) and Clinton (Aug. 30-remainder ofseason)...participated in Mariners Instructional League. Spent season with Pulaski...among Mariners minor leaguers, ranked 8th in ERA(3.61)...named Pulaski's Most Valuable Pitcher by the Seattle Mariners...tossed at least5.0 innings in 10 of 12 starts, while recording 4 quality starts...tossed first complete game(L,7.0,5,5,3,1,4,2WP), Aug. 1 vs. Princeton (G1). Began pro career with Peoria...went 1-0, 1.42 ERA (1 ER, 6.1 IP) in 3 relief appearancesand 0-2, 3.71 ERA (7 ER, 17.0 IP) in 5 games as a starter...named Peoria's Pitcher ofthe Year by the Seattle Mariners...participated in the Mariners Advance DevelopmentLeague. 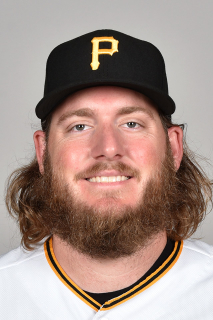 January 30, 2019 Pittsburgh Pirates signed free agent RHP Brandon Maurer to a minor league contract and invited him to spring training. January 30, 2019 RHP Brandon Maurer assigned to Indianapolis Indians. November 2, 2018 RHP Brandon Maurer elected free agency. June 15, 2018 Kansas City Royals selected the contract of RHP Brandon Maurer from Omaha Storm Chasers. May 3, 2018 Kansas City Royals sent RHP Brandon Maurer outright to Omaha Storm Chasers. April 13, 2018 Kansas City Royals optioned RHP Brandon Maurer to Omaha Storm Chasers. July 25, 2017 Kansas City Royals activated RHP Brandon Maurer. July 24, 2017 Kansas City Royals reassigned RHP Brandon Maurer to the minor leagues. October 5, 2015 San Diego Padres activated RHP Brandon Maurer from the 15-day disabled list. April 10, 2015 San Diego Padres recalled RHP Brandon Maurer from El Paso Chihuahuas. April 5, 2015 San Diego Padres optioned RHP Brandon Maurer to El Paso Chihuahuas. June 25, 2014 Seattle Mariners recalled RHP Brandon Maurer from Tacoma Rainiers. May 30, 2014 Seattle Mariners optioned RHP Brandon Maurer to Tacoma Rainiers. April 20, 2014 Seattle Mariners recalled Brandon Maurer from Tacoma Rainiers. March 28, 2014 Seattle Mariners optioned RHP Brandon Maurer to Tacoma Rainiers. July 27, 2013 Seattle Mariners recalled Brandon Maurer from Tacoma Rainiers. May 29, 2013 Seattle Mariners optioned Brandon Maurer to Tacoma Rainiers. November 20, 2012 Seattle Mariners selected the contract of Brandon Maurer from Jackson Generals. September 18, 2012 Brandon Maurer roster status changed by Jackson Generals. August 20, 2012 Jackson Generals placed RHP Brandon Maurer on the temporarily inactive list. April 4, 2012 RHP Brandon Maurer assigned to Jackson Generals from High Desert Mavericks. September 9, 2011 Brandon Maurer roster status changed by High Desert Mavericks. July 18, 2011 High Desert Mavericks placed RHP Brandon Maurer on the 7-day disabled list. June 28, 2011 High Desert Mavericks activated RHP Brandon Maurer from the 7-day disabled list. June 14, 2011 High Desert Mavericks placed RHP Brandon Maurer on the 7-day disabled list. May 17, 2011 RHP Brandon Maurer assigned to High Desert Mavericks from Clinton LumberKings. August 30, 2010 Brandon Maurer assigned to Clinton LumberKings from AZL Mariners. August 13, 2010 Brandon Maurer assigned to AZL Mariners. June 22, 2010 Pulaski Mariners placed RHP Brandon Maurer on the 7-day disabled list. June 20, 2009 RHP Brandon Maurer assigned to Pulaski Mariners from AZL Mariners.